Disclosure: This post contains Amazon affiliate links. All opinions are mine. 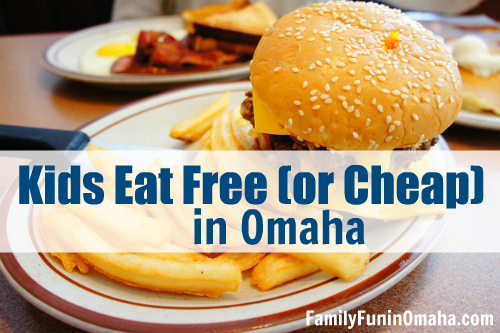 There are many local restaurants where Kids Eat Free or Cheap in Omaha! 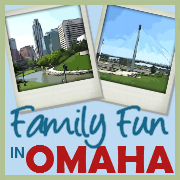 Join our growing community and keep updated on Family-Friendly Activities and Events in Omaha and Sign up for our Free Email Newsletter! Please Note: Restaurants can change these promotions at any time, or some of the individual restaurants may choose to opt out of the promotion or have slight differences. It is highly recommended to verify with the restaurant before visiting. If you know of additional restaurants or if there are changes to any of these locations, please contact us. Together we can keep this list as updated as possible. Thank you very much! TIP: When our kids were little, we used these (affiliate) disposable placemats – they are perfect when eating out! Please note: It is highly recommended to verify with the restaurant before visiting as these promotions can change at any time. Hartland BBQ – Free kids meal with adult dinner purchase every day. Child must be present. HuHot – Children age 3 and younger eat free, while kids ages 4-10 eat for $4.99 at all locations. Sonic – Happy Hour every day from 2-4 pm, get ½-price drinks and slushes and $.99 corn dogs. Dickey’s Barbecue Pit – Kids age 12 and younger eat free on Sundays. One free Kid’s Meal with $10 purchase per adult. Dine-in only. Free ice cream every day. Sam and Louie’s Pizza – Kids 12 and under eat free on Sundays. Choose one free Kid’s Meal with every $12 spent. Daily Special participation may vary by location. SPIN! Neapolitan Pizza – n Sundays, kids ages 12 and under eat free with the purchase of an entrée on Sunday at all Omaha and Papillion locations. Kid’s Meal (select options) is free with the purchase of a 14″ pizza, 12″ pizza, sandwich, panini, large salad, or Mini Mia. Buffalo Wings & Rings (L Street Marketplace) – Kids age 10 and under eat free. Receive one free meal per paying adult. $5 minimum purchase. Burgerim (Downtown Omaha, 12th, and Capitol locations) – Kids 10 and under get one free Kids Meal with each purchase of a Duo or Trio combo meal. Dine-in only. Family Fun Center XL – One kid, age 12 or under, can eat the Buffet for free with each paid Adult Buffet on Mondays. Must bring the coupon from the website. Fernando’s Fun For Kids Nights Monday’s – Kids, ages 12 and younger, eat for free with each adult entrée purchased. Firehouse Subs – On Mondays, kids meals are $.99 with the purchase of an adult entrée, dine-in or carry out. Grand China Buffet 11226 Chicago Cir. – One child, ages 10 and younger, eats free per family. Dine-in only. Must bring the coupon from the website. Hector’s 1201 S. 157th St. – Kids eat free on Mondays from 5 – 10 p.m. with the purchase of an adult entrée. Ixtapa Mexican Grill 3905 Twin Creek Dr., Bellvue – Kids eat free on Mondays with the purchase of an adult meal. Jones Bros Cupcakes 180th & W. Center Rd. – Kids Meal Deal: $.99 Kid’s Meals with the purchase of an adult entrée on Mondays & Tuesdays. Julio’s – Kids eat free on Mondays after 5 p.m. Contact the restaurant for restrictions. Old Market Spaghetti Works – Kids age 11 and under eat free all day on Mondays. Quaker Steak & Lube – On Mondays, from 4-9 p.m., get $.99 Kids’ Lube Cruiser Meals with adult entrée purchase. Schlotsky’s Deli 2782 S. 129th Ave. – Kids age 12 and younger eat for $.99 with each adult meal combo purchase. Summer Kitchen Cafe – Every Monday night from 5-9 p.m., bring the family to either of their two locations for dinner. You’ll enjoy a delicious entree, and the kids will eat for free (one kid’s meal per adult meal purchased; ages 12 and under only). Village Inn – Every Monday and Tuesday, kids, ages 10 and under, eat free with the purchase of an adult entrée at all locations. Dine-in only. Please Note: Restaurants can change these promotions at any time, or some of the individual restaurants may choose to opt out of the promotion or have slight differences. It is highly recommended to verify with the restaurant before visiting. If you know of additional restaurants or if there are changes to any of these locations, please contact us. Together we can keep this list as updated as possible. Thank you very much! Applebees – Kids 12 and younger eat for $0.99 all day on Tuesdays and Thursdays with the purchase of an adult meal at all locations. Big Fred’s – Kids eat free Tuesdays from 6 – 8 p.m. with a minimum $20 purchase and a limit of 2 kids per adult. 12 and under. They also partner with Magical Moments and have characters visit the restaurant on select nights to interact with the kids. Chick-fil-A 72nd and Sorensen Park Plaza location only – Kids Eat Free on Tuesdays from 5 – 7 p.m. Dine-in only; child must be present at the time of ordering. All kids 12 and under eat free with the purchase of at least one adult meal. China Buffet Mongolian Grill – Kids Eat Free (age 10 & under) on Tuesdays. One child per adult. Not valid with any other offer. Kids age 3 and younger eat free every day. Denny’s 3520 S. 84th St., Omaha – Kids age 10 and younger eat for free on Tuesdays from 4 – 10 p.m. Two free Kids Meals with each adult meal purchased. 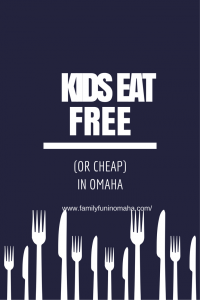 Emery’s Cafe (2118 N. 24th St., Omaha, NE) – Kids Eat Free every Tuesday and Friday with a purchase of an adult entrée (one child free per adult purchase). For children 12 and under. Fazoli’s – On Tuesdays from 5 – 8 p.m., receive 3 Kid’s Meals at 99¢ each for every one adult entrée. Ages 12 and under. Both Omaha locations and the LaVista location participate in this deal. Fuddruckers – Monday & Tuesday Kid’s Nights! Get a $.99 kids meal with the purchase of a Fudds Deal every Monday & Tuesday. Hy-Vee Market Grille (9707 Q St., Omaha, NE) – Tuesdays are Kids Night Out. Excludes Express locations. Jones Bros Cupcakes – Kid’s Meal Deal: $.99 Kid’s Meals with the purchase of an adult entrée every Monday & Tuesday at 180th & W Center Rd. The MARK – Purchase an adult entrée and receive a free kid’s meal all day on Tuesdays (one kids meal free per adult purchase). Pizza Ranch – Many Pizza Ranch locations offer one FREE Kid’s Buffet with the purchase of an adult buffet at regular price on Kid’s Night Tuesdays. Visit a specific location – Omaha, Papillon, Council Bluffs – to verify day and times. Ruby Tuesday – One free kid’s entrée with one adult entrée purchase after 5 p.m. on Tuesdays. Runza Temperature Tuesdays – Each Tuesday in January and February, the temperature at 6 a.m. is the price of an Original Runza® Sandwich with purchase of a Medium Fry and Medium Drink. Check here each week for the Omaha price. Valentino’s Buffet -All day on Tuesdays, kids age 10 and under get a free buffet with the purchase of an adult buffet. This is available at most locations. Agave Azteca – Kids eat free all day at both locations (Ralston by the Ralston Arena and 132nd and Dodge) plus enjoy family entertainment from 5:30 – 7:30 p.m. One free kids meal per every entrée at regular price. A+ Mongolian Grill – Kids eat for $.99 at the buffet with the purchase of an adult buffet on Wednesdays & Thursdays. Soft drink included. One child per paying adult, age 10 and younger; max. 2 kids per family. Guaca Maya 5002 S. 33rd St. – Kids age 10 and younger eat free on Wednesdays during lunch (11 a.m. – 3 p.m.) and dinner (5 – 8 p.m.) with an adult meal purchase. One child per paying adult. PepperJax Grill – Get up to two kid’s meals at 1/2 price with the purchase of an adult entrée on Wednesdays. Dine in only. Red Robin – Get $1.99 kid’s meals on Wednesdays with adult entrée purchase, dine-in only and limited to 3 meals per one adult. Applebees– Kids 12 and younger eat for $0.99 all day on Tuesdays and Thursdays with the purchase of an adult meal at all locations. La Mesa Omaha Metro Locations – Kids age 12 and under eat free (one per adult entrée purchase) on Thursdays. 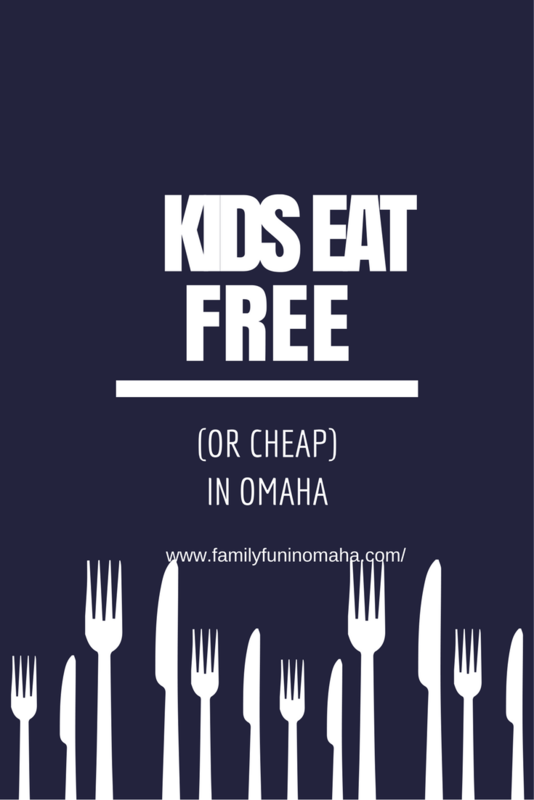 Emery’s Cafe (2118 N. 24th St., Omaha, NE) – Kid’s Eat Free every Tuesday and Friday with a purchase of an adult entrée (one child free per adult purchase). For children 12 and under. Hy-Vee Market Grille Express – On Fridays, get one free kids meal with adult purchase. Dine-in only. Express locations only. Hy-Vee Market Grille and Market Grille Express – Exclusive App Deal: one free kids breakfast entrée with purchase of any adult entrée, available online or in-app only. Use code MORNING at checkout. 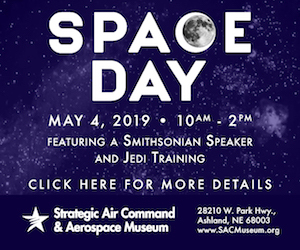 Valid Saturdays in March, 6 a.m. to 11 a.m.
Papa Reno, Bellevue, NE – 12 – 4 p.m. Kids 10 and younger get 6″ cheese pizza with the purchase of a medium or larger pizza. Dine in only. Free sundaes on Sunday all day, dine in only, for kids 10 and younger with a purchase of a meal. Please Note: Restaurants can change these promotions at anytime, or some of the individual restaurants may choose to opt out of the promotion or have slight differences. It is highly recommended to verify with the restaurant before visiting. 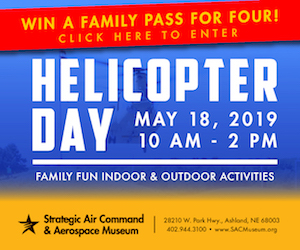 Disclosure: Family Fun in Omaha, LLC is a participant in the Amazon Services LLC Associates Program, an affiliate advertising program designed to provide a means for us to earn fees by linking to Amazon.com and affiliated sites.